Sarah Michelle Gellar's Series RINGER is Canceled by the CW! Ringer's Sarah Michelle Gellar Expecting Baby Number Two with Hubby, Freddie Prinze Jr.! TONIGHT: RINGER Season Finale! – "I'm The Good Twin" – Watch the Previews! RINGER Season Finale Preview: But, will the series get a renewal or get canned? 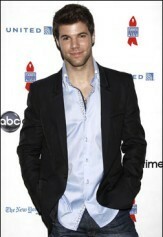 OLTL's Nic Robuck lands guest star role on CW's "Ringer"! Susan Lucci recalls her legendary run on AMC, bad writers, and Sarah Michelle Gellar! Eva LaRue reveals, Sarah Michelle Gellar to play Psych Patient who thinks she's Erica Kane's daughter on AMC return! Y&R's Michelle Stafford talks on her upcoming guest stint on CW's "Ringer"! 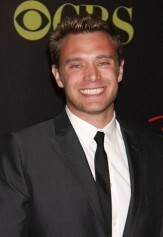 Y&R's Billy Miller lands recurring role on CW's "Ringer"! BREAKING NEWS: Sarah Michelle Gellar confirmed for return to AMC!